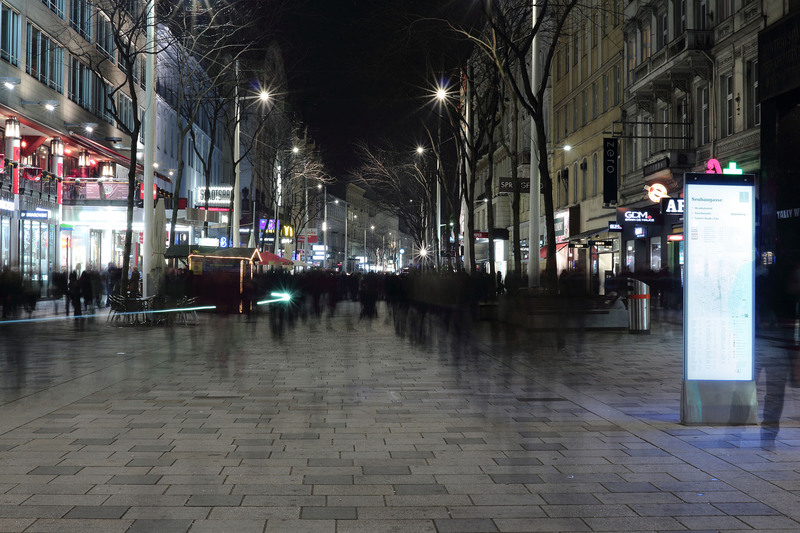 In 2014 SFL technologies was comissioned by the municipal authorities (MA33) to develop the new pedestrian guidance system (Fußgängerleitsystem) for Mariahilferstraße, the main shopping street in the city of Vienna. The technical requirements were challenging, insofar as the stele needed to be illuminated but only a few centimeters thick. This led to a unique technical design solution, as there was no such product on the market yet. 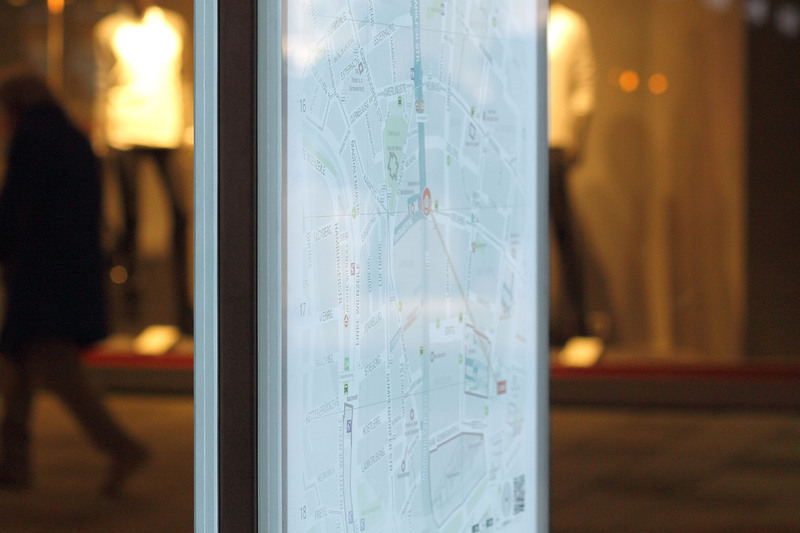 The design is based on a self-supporting glass construction which contains the exchangable luminaire. This allows for the very thin side view and destinctive look of the glass edges. The stainless steel base covers control unit and power supply, wireless and or GSM modules are located in the head. Graphic design of guidance system by High Performance Vienna.